Never underestimate the power of a sparkly eye. It instantly draws attention to your most arresting feature and can be complemented with a subtle rose-tinted lip. We like NYX Professional Makeup Glitter Goals Liquid Eyeshadow in Industrial Beam paired with Fenty Beauty Gloss Bomb Universal Lip Luminizer. Looking to give off a take-me-as-I-am attitude with a hint of sweetness? 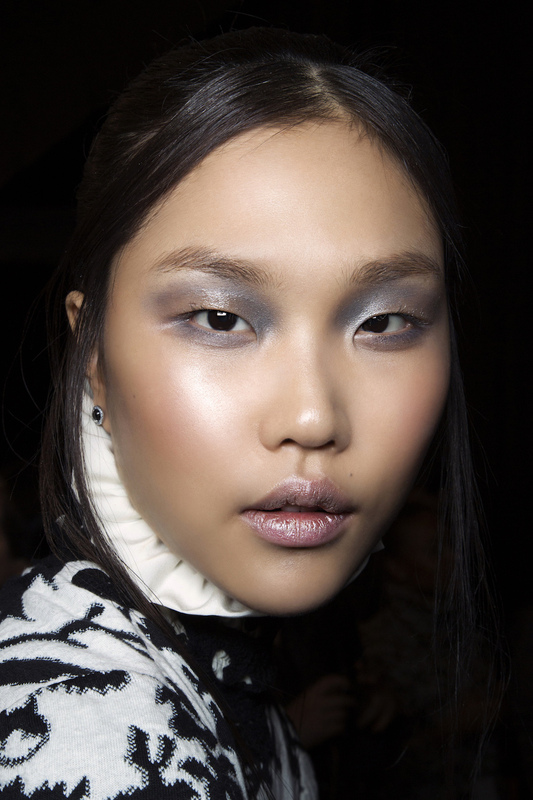 Opt for blue eyeshadow and a glossy lip. For a super-rich pigment, try Buxom's Brown-Eyed Bombshell Eyeshadow Palette. The blue and purple hues are great for almost every complexion. To perfect your pout, look to Sara Happ's Sweet Dreams Lip Kit, a nighttime treatment set featuring the new Chamomile Lavender Lip Scrub, the Sweet Clay Lip Mask and her best-selling The Dream Slip — a night cream for your lips. Let's face it: Nothing is sexier than winged eyeliner, and Valentine's Day is the perfect time to show off your skills. For that extra-black pigment that gives you no-fade coverage all day and night, try Westmore Beauty Wing Effects Liquid Eyeliner. 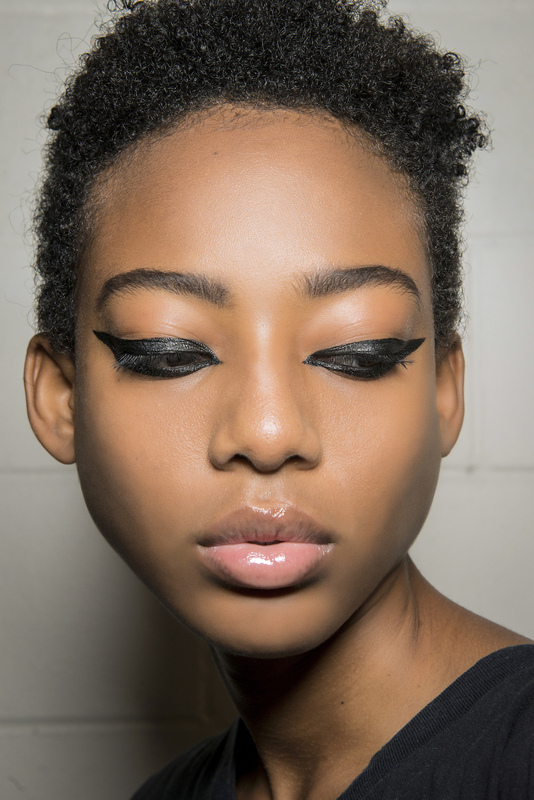 The marker-style liner is easy to use and can deliver any look, from a thin line to a bold, dramatic cat eye that won't migrate or budge. 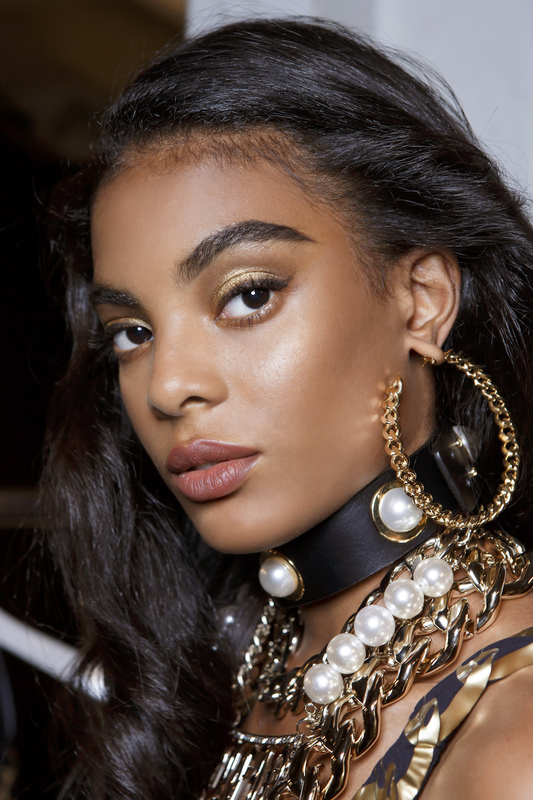 Models at the Philipp Plein Spring 2017 show were a true vision with their golden makeup. 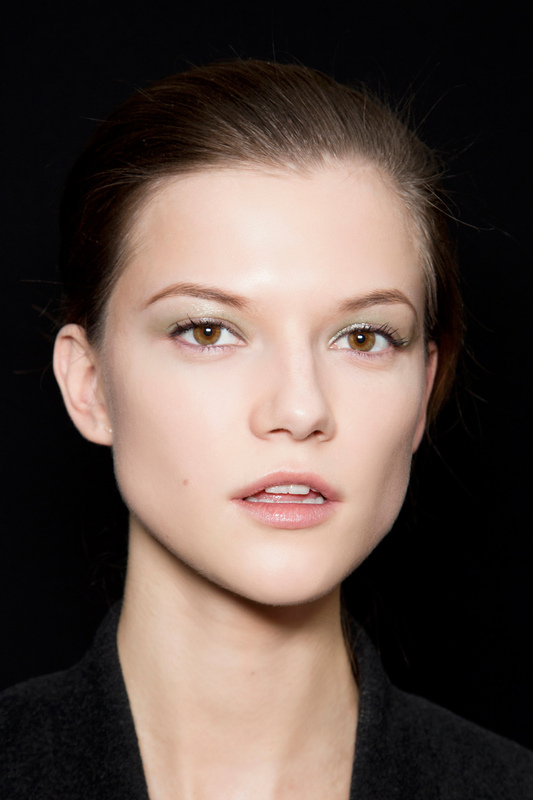 If you're looking for screenshot-worthy makeup, this is the look to steal. Darker and olive skin tones will love Black Opal's True Color Illuminating Stick that helps define your features while giving a subtle glow and IT Cosmetics Vitality Lip Flush Stain 4-in-1 Hydrating Lipstick in Pure Joy for a stain that doesn't dry out your lips. Also, don't be afraid to use highlighter for an overall gorgeous glow. 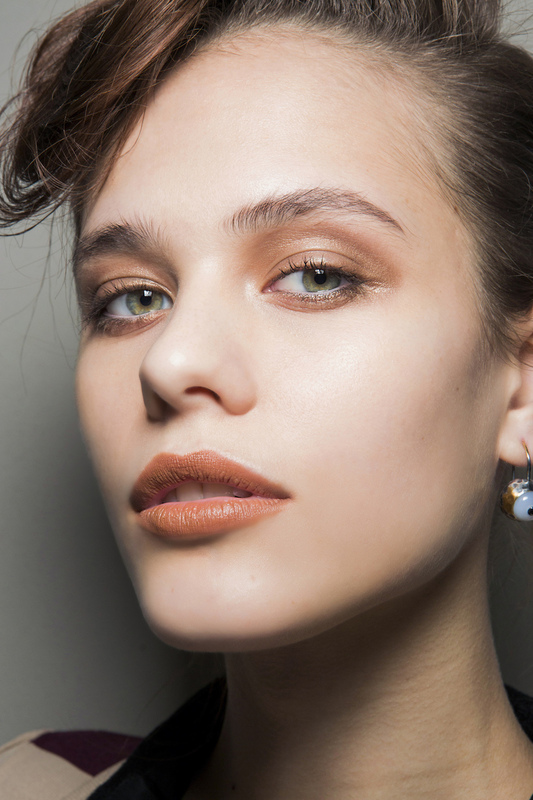 Pulling off metallic makeup like a grown-up isn't exactly easy, but the models at the Vivienne Tam show proved heavy metal makeup is totally doable. We look to Revlon's Ultra HD Matte Metallic Lipcolor for a moisturizing, velvety feel with high-definition color. Just be sure to play up your look by adding a touch of blush, like NUDESTIX Nudies for a no-makeup makeup look. We'll let you in on a little secret: The beauty industry doesn't have a shortage of red lipsticks. New shades, tones and hues launch almost daily, which means there's a red shade for every skin tone. Our favorites include Lipstick Queen’s Rear View Mirror Lip Lacquer that offers a high-impact gloss in a nonstick formula, Milani Bold Color Statement Matte Lipstick in I Am Fierce and Oribe Lip Lust Crème Lipstick in Ruby Red. Get creative this Valentine's Day and flaunt multitoned lipstick. 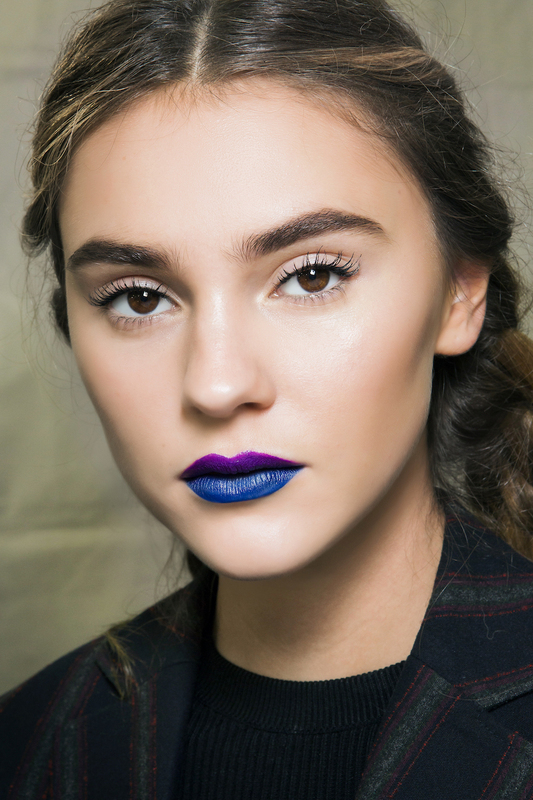 We love this purple and blue mash-up from the L'Oréal Paris Spring 2018 show. To get the look, try Urban Decay's Vice Lipstick in Heroine. Gloss is your bestie for 2019. But with so many options, it's hard to choose just one (OK fine, even two). For the best results that won't leave your pout too sticky, try Marc Jacobs Beauty Enamored Hi-Shine Lip Lacquer Lipgloss. You'll have high shine that looks like you're wearing 10 coats of lacquer. Sparkle your way through this holiday of love with a dark smoky eye loaded with a hint of shimmer. For killer smoky eyes that won't make you look drab, opt for Maybelline The Burgundy Bar Eyeshadow Palette. If you're feeling peachy, you're in luck. Pantone declared Living Coral the color selection for 2019. But don't think of it as just a spring/summer shade; the vibrant hue can be worn on a wide range of skin tones for the winter season. We love Fresh Sugar Coral Tinted Lip Treatment Sunscreen SPF 15 and Burberry Kisses Sheer Coral No.257. If there's anything we learned in 2018, it's that taking care of your skin is the best thing you can do for your appearance. That's why we look to Olay Fresh Reset Pink Mineral Complex Clay Face Mask Stick to reset our stressed skin and PCA Skin HydraLuxe Intensive Hydration to reduce signs of aging while softening and deeply hydrating. The post 11 Valentine’s Day Makeup Looks From the Runway That Will Slay appeared first on theFashionSpot.